All three Baltic states are in the midst of celebrating their hundred year anniversary of independence from Russian rule which ended in 1918 after the First World War. The Second World War saw the three being occupied by Nazi Germany, and after the Nazi defeat, repressed for 50 years under Soviet rule. The nationals of these countries finally breathed free after 1990. These three countries, having historical links with Russia and Europe, have now acquired a certain strategic value following their shunning of Russia and embracing Western European political unions like NATO and the European Union (EU). Although the three countries are adjacent to each other, they are vastly different from one another, with dissimilar languages and culture. Even as all three have majority Christian populations, only Latvia and Lithuania have Catholics in substantial numbers. These facts were revealed by the survey conducted by the Pew Research Center during 2015 and 2016. The survey also found Catholics in these two nations are substantially less religious than neighboring nations like Poland. The center point of the papal trip is Lithuania, where the present pope will simply continue the tradition of past popes like Pope St. John Paul II, who was the first Catholic head to visit the country in 1993. John Paul II spent a total of seven days in the Baltics at that time, immediately after the withdrawal of the Soviet military. Among the three states, Estonia has the lowest number of Catholics. Only one percent of Estonians consider themselves Catholic. 75 percent of the country's population declares themselves to be atheists. 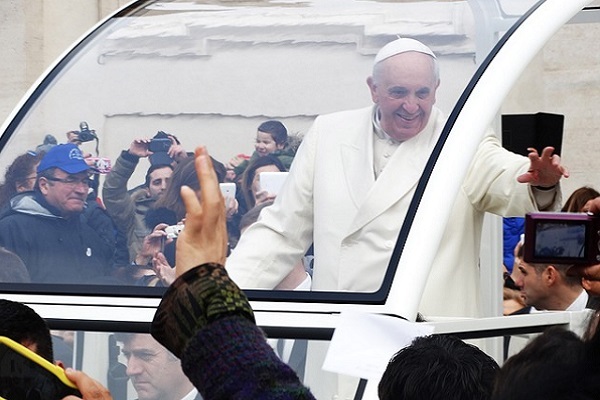 Pope Francis will visit Kaunas and Vilnius, both located in Lithuania, Aglona, and Riga in Latvia. In Estonia, Tallinn is in his itinerary. His main base, however, will be Vilnius, Lithuania's capital city. The Archbishop of Vilnius, Gintaras Linas Grusas, said there are enormous expectations from the Pope during his visit.